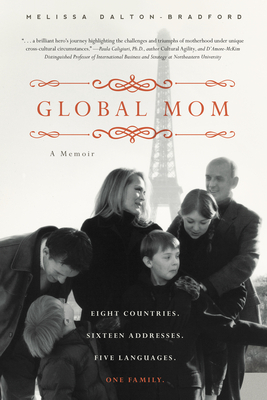 Melissa Dalton-Bradford is the author of Global Mom: Eight Countries, Sixteen Addresses, Five Languages, One Family (Familius, July 2013). She holds a BA in German and an MA in Comparative Literature, both from Brigham Young University. She speaks, reads and writes fluent German, French, and Norwegian, is conversant in Mandarin, and has taught language, humanities, and writing on the university level. Bradford has performed professionally as a soprano soloist and actress in the US, Scandinavia, Central Europe, and South East Asia. She and her husband raised their family of four children in Hong Kong, Vienna, Oslo, Paris, Munich, Singapore, and Geneva, Switzerland. Connect with Melissa at www.melissadaltonbradford.wordpress.com.